If you think that sounds like a touchy-feely tip from a credentials-free healer, you’re wrong. Those are the words of a molecular biologist who won the Nobel Prize in Medicine. Dr. Elizabeth Blackburn got the 2009 award for her discovery of telomeres. These trendy biomarkers are the parts of chromosomes that determine how cells age. The Tasmanian scientist signed a million dollar contract to write a book provisionally titled How the Nobel-Prize-Winning Discovery Can Help You Fight Aging. She and American health psychologist Dr. Elissa Epel are promoting the new book, with a new title promising to tell you how to “live younger”. This latest addition to the anti-ageing genre features photos that could be in a biology textbook, along with lots of pictures of shoelaces. That’s because telomeres are often compared to the plastic tips on the ends of laces. Good telomeres that indicate a propensity to live to a ripe old age are long, the protective tips in good condition. Telomeres that signal a lesser lifespan are short, with frayed tips like… Imagine some tatty old laces that you are trying to fit through the eyelets in your shoes. 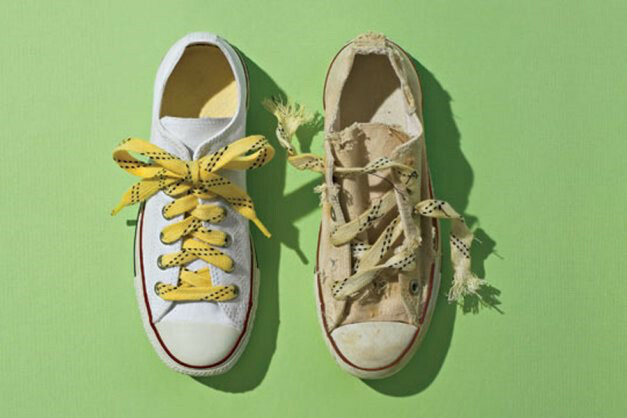 Just as frayed shoelaces fail to perform their intended function, so do frayed telomeres. Huh? 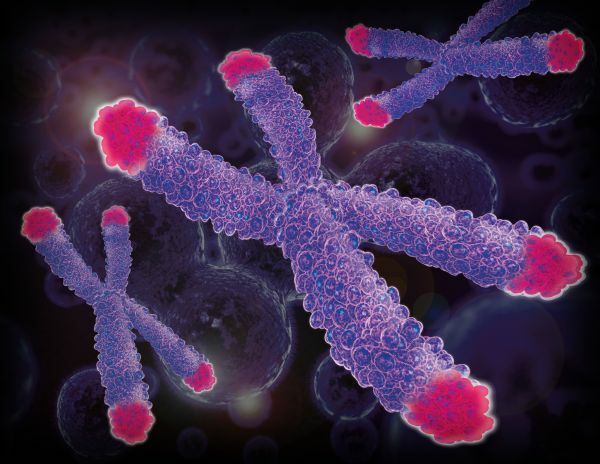 I understood that telomeres are part of our DNA, which determines the make-up of our cells. 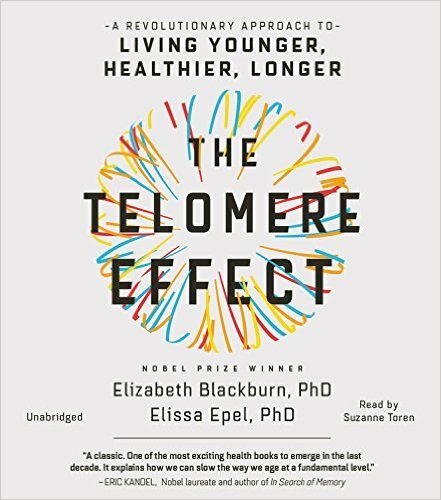 So why do Blackburn and Epel ask, “What can we do to lengthen our telomeres?” Is it up to us to keep our longevity indicators in tip-top shape? Through visualisation exercises? Yep, that is the key message of this book: you can control your own aging. All you have to do is eat well, exercise and keep your stress levels low. And if you don’t? Here’s where I got confused. It seemed I’d left the microbiology lab for some kind of self-esteem workshop. This book encourages individuals to assume personal responsibility for their health – rather than the medical profession or the state. This is reminiscent of the victim-blaming reaction of US President Reagan upon learning of the hole in the earth’s ozone layer. When its cause was revealed to be chlorofluorocarbons (CFCs), it wasn’t the manufacturers of aerosals, air conditioners and refrigerators who were required to address the problem. Instead, the public was told to adopt a “personal protection plan” to counter the increased risk of skin cancer. Which involved wearing hats and staying out of the sun. Similarly the “The Telomere Manifesto” to “Create Telomere Health in Your Community and the World” recommends nothing that you haven’t already heard about boosting physical and mental health. Some readers have complained that the book is a rehash of conventional wisdom, verified in past studies on the value of a healthy lifestyle. At this point I’m feeling the need to get back to the science that won Blackburn that Nobel Prize. My layperson’s understanding is that longer telomeres help cells reproduce. And that some cells grow more than others. Sadly, some of the fastest-growing cells in the body are not in the brain, but in cartilage. In your ears – and worse yet, your nose. To understood this aspect of aging, we must move from Biology to Physics. Gravity is a powerful force in making our bodies change with age. And not for the better. Tips of noses droop, eyelids lower, ears elongate. Cheeks form fleshy jowls and legs go purple with varicose veins. Blame gravity as well when other body parts start sagging. Ladies and gentlemen of a certain age will know which saggy bits I’m referring to.